COCHE A ESCALA 1/43, DE LA COLECCION RALLY DE ITALIA EAGLE MOSS ALTAYA, MODELO FORD RS 2000 DEL RALLY DE SUECIA DE 1986. 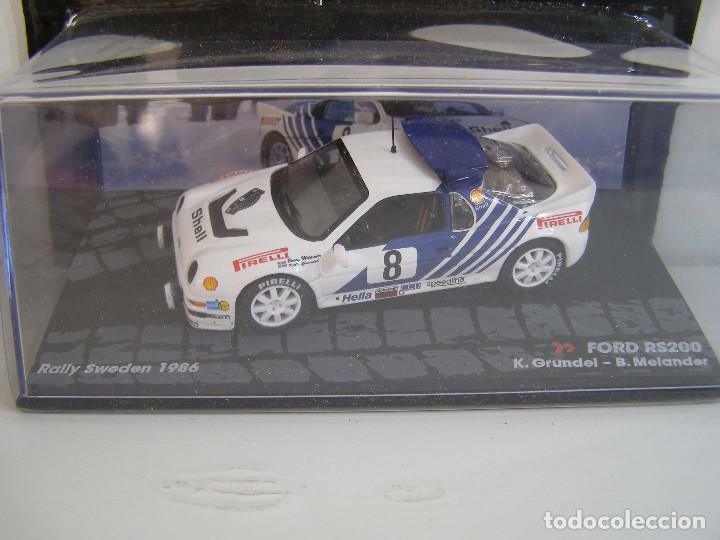 FORD FIESTA RS WRC, RALLY DE FRANCIA 2011, COLECCION RALLY DE ITALIA, EAGLE MOSS ALTAYA 1/43. Hora oficial TC: 12:04:32 TR: 197 ms.